Recently I have posted a couple of articles about various database or SQL tools either for maintenance or for benchmarking. Those posts work well in conjunction with a post several months back that you can read here. These posts made me think a bit harder about the tools that I use to do the job. In thinking about those tools, I realized that I did not have a list of what I have used or do currently use. Thus, I went through an exercise compiling my list of tools. Some of these tools are currently in use, some are items that I have used in the past and was impressed by the tool. And someday in the future I will finish compiling the list of all of the tools that I have encountered over the past year or two that I have intended to test. SSMS Addins – This is available on codeplex. One of the features that intrigues me is the ability to script out the data from the table. OpenDBDiff – This one seems to have promise. Similar in function to Visual Studio 2010 or RedGate SQL compare tools, this one is free and compares the schema and objects. If you are on a tight budget and need to be able to compare two databases, this just might be the tool to try. SQL Monitor – A tool to monitor various things in SQL Server like jobs and executing queries. Kind of low-level, but I figured I would test this app out and see if it had some merit. 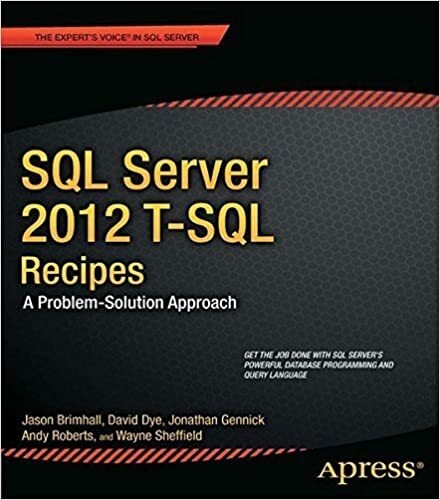 SQL nexus – This is a tool to help evaluate performance issues with SQL Server. You can evaluate wait stats along with PSSDiag files. PowerShellPack – Download from Microsoft to enhance the powershell experience. Data Dictionary – This software is on my list to evaluate. It is mostly out of curiosity because I have something in place to create data dictionaries already. This tool allows you to update the extended properties from a GUI. US Census Data – I think this one is intriguing as a sample data set. ScriptDB4SVn – Another SVN Plugin to get your database projects into source control. SQL Source Control (RedGate) – Do you detect a theme going on now? This is a commercial product to integrate into SVN or TFS. It integrates into SSMS and has received many great reviews. I have seen it in use and it is a good product. SQL Diagnostic Manager (Idera) – I used this tool a lot a few years back. The tool has gotten better since. I need to get another license for it and try it again. Confio Ignite – I was a part of a focus group testing this tool. I was highly impressed by the tool. Ignite allows you to gather waitstats and other diagnostic information to monitor the health of the server. I would highly recommend this tool. TOAD (Quest Software) – I used this tool a few years ago and liked it. This tool is useful for determining quickly the alternatives to writing your query in a few different ways and to view the performance impact of those changes. DBA Bundle and Developer Bundle (RedGate) – Alternatively, you could look for the Toolbelt by RedGate. The Bundles are chock full of high value great tools to do the job. 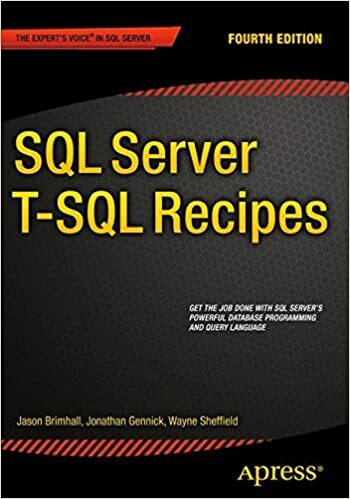 SQL Scripts Manager – This is a collection of Scripts from various contributors that has been made available for free by our friends at RedGate. Dr. DMV – Glenn Alan Berry has some awesome scripts for use on your 2005 and 2008 servers. These scripts utilize greatly the DMVs in SQL Server. DBA Dashboard – This is a set of reports put together to help you identify resource usage and the source of that resource consumption. SQLPing3 – Security type tool to help you discover SQL Servers on the network. Discovery Wizard for SQL Server (Quest Software) – A tool to help discover SQL Instances on the network. SQLCentric – By Robert Pearl, this tool is a web based monitoring and alerting tool for your SQL Servers. Power Architect – I used this tool largely for helping to document some data models. This is a reasonably priced tool and it works quite well. SQLIO – This one is from our friends at Microsoft and I think the name explains it. SQLIOSim – Another tool from Microsoft that I think the name explains it. GeekBench – This tool will quickly measure processor and memory and provide some benchmarks. Plan Explorer (SQLSentry) – I find this tool extremely useful. The execution plans are much easier to read in this tool than in SSMS. I use both to compare and contrast and am able to more quickly ascertain the pain points of a query. The readability of Plan Explorer is great and the additional features really help augment your abilities to query tune based on Execution Plans. There you have it! That is quite the list. I don’t have all of these installed but would recommend trying some of the items out and getting them in your toolbox. A good recommendation would be to install them into a virtual machine while you are testing the software. One of my goals for the year is to actually get all of my preferred tools installed into a VM that I can port with me. By doing so, then I would have them readily available with little to no downtime while trying to install them. If you have any tools that you think are great and should be in the DB Professional toolbox, please leave a comment or drop me a note. Jason, thanks for the collection! – this is awesome collection! As I can see, the SSMS Tools Pack is missing – this is the very nice add-in for SSMS from Mladen Parajdic check here >> http://www.ssmstoolspack.com/ and if you want you can add to your list! For benchmarking, I would recommend checking out Benchmark Factory for Databases (BMF). It can deploy all of the TPC benchmarks, but more importantly, allows you to build your own. We probably have a few dozen tools, but you explicitly mentioned benchmarking. It’s been around for decade or so, and is in use at several Microsoft labs. Awesome. Thanks for the feedback. Speaking of tools that foster database development in SSMS, I also highly recommend Devart Developer Bundle. Essential if you’re working with SSMS. And well worth the money. Have you ever tried them? Any comments?